Tropical cyclones (TCs) are amongst the most damaging natural phenomena. Understanding their role in the climate system, that is their interaction with climate variability and their contributions to the global circulation, are a major research challenge and a primary motivation for our research. Typical climate GCMs are too coarse to credibly represent tropical cyclones, but the current generation of high-resolution GCMs, with grid spacing of a few tens of km, are able to resolve the main features of these storms and to generate storm statistics, which are quite realistic in geographic distribution, as well as in their intensity and frequency. 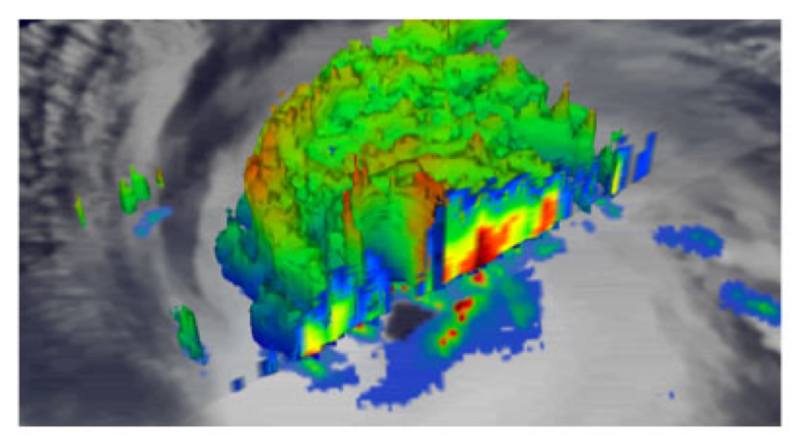 Our tropical cyclones research has focussed on determining minimal required GCM resolution, as well as the role of model formulation, producing a systematic intercomparison of high-resolution GCMs driven by the AMIP-II SSTs. Working very closely with the insurance industry, we are investigating ways to integrate information derived from simulated tropical cyclone activity into catastrophe modelling of TCs undertaken in the insurance industry risk assessment process to compute TC damage. Our TC dynamical database supplements the observational historical data sets currently available, which contain some inhomogeneities, particularly in the Southern Hemisphere. We also work on the representation of TCs in high-resolution global models, and you can see an example of this work here.